We understand if you are not fully happy with the ‘Out of the box’ approval messages of Oracle Cloud. But why don’t you do something about that? See what Profource can do for you! Profource provides the service to build ‘Customised’ approval messages fully adjusted to your demands and wishes and fully supported by Oracle. 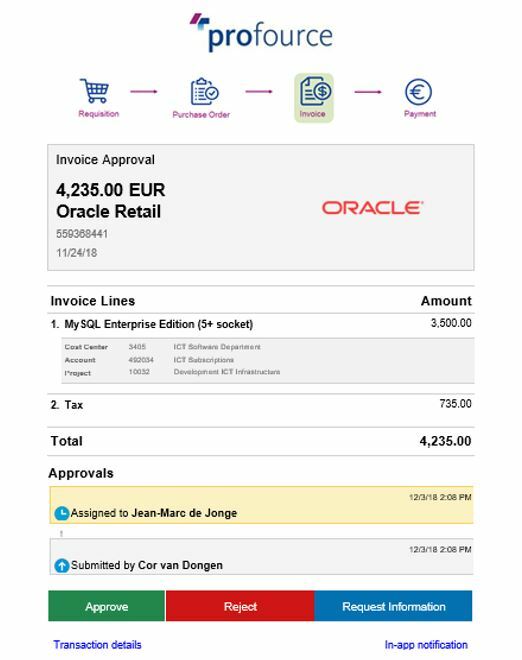 Profource, the Oracle Cloud Specialist in the BeNeLux, offer you THE approval Messages that will guarantee to raise your user acceptance within your organization. Not only is Profource the Oracle and NetSuite specialist in the BeNeLux, but we also distinguish ourselves as true experts in the fields of finance, HR, procurement and supply chain management, business intelligence [BI], project control, reporting and administration. 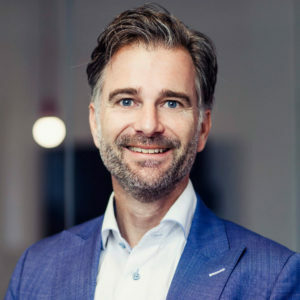 Our understanding of both process and ICT is unique in the industry and forms the basis of all our services: from ERP Consulting and Business Consulting to Application Management and Service Desk. We provide tailor-made ERP solutions for multinationals and start-ups alike, employing Oracle Applications in the larger or more complex organizations, and the flexible, scalable NetSuite in the more straightforward ones.